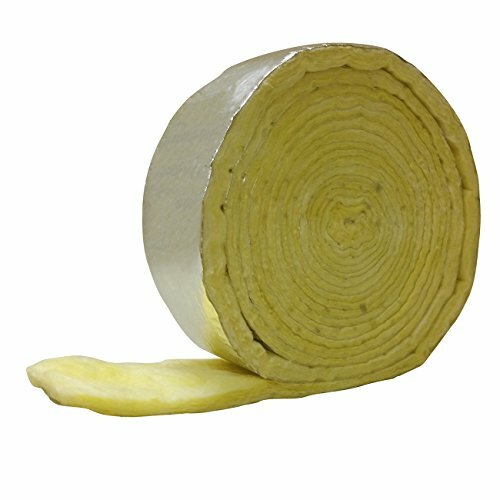 1-Inch x 3-Inch x 25-Feet Fiberglass Pipe Wrap. 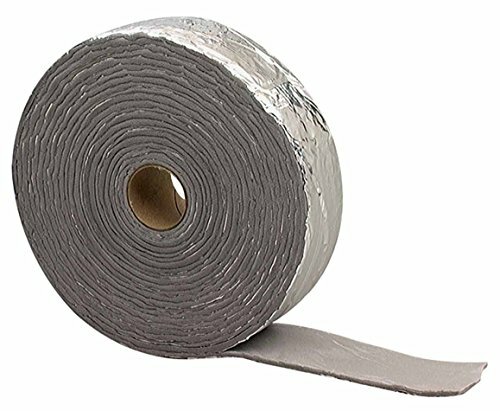 Comes with a vapor barrier 1-Inch thick. 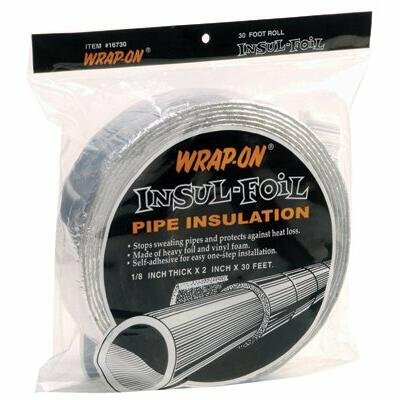 This is a foil-backed insulation, which cuts wasteful heat loss on hot water pipes and helps keep the cold water pipes from sweating. Simple, one-step installation. 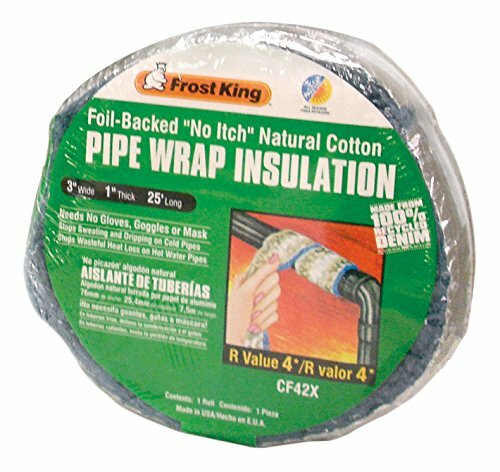 Frost King's narual cotton foil backed pipe wrap. Its no itch, and does not need worker to use gloves, a face mask or goggles. 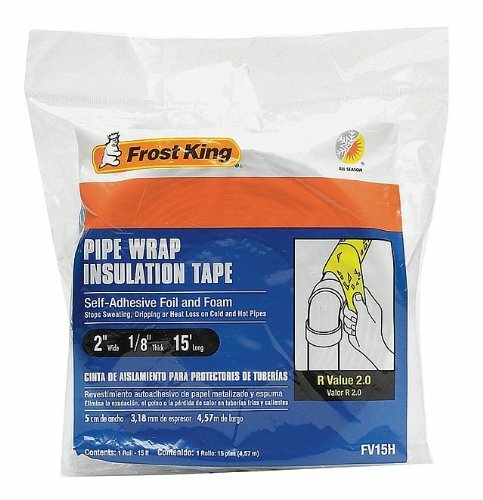 2-Inch x 1/8-Inch x 15-Feet Foam and Foil Pipe Insulation Tape Wrap. 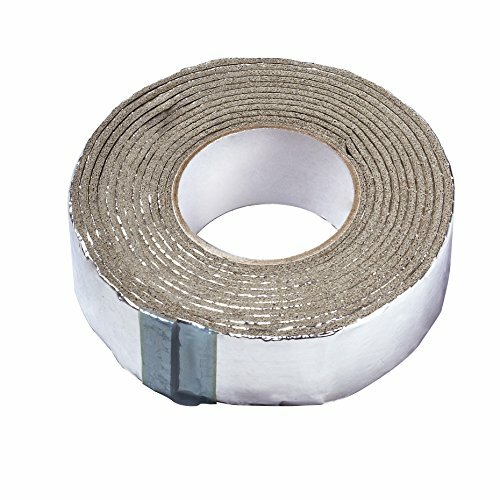 Self-adhesive insulation tape. This is a one easy step way to insulate both hot and cold pipes. On hot pipes, it helps stop wasteful heat loss. On cold pipes it prevents sweating or dripping. 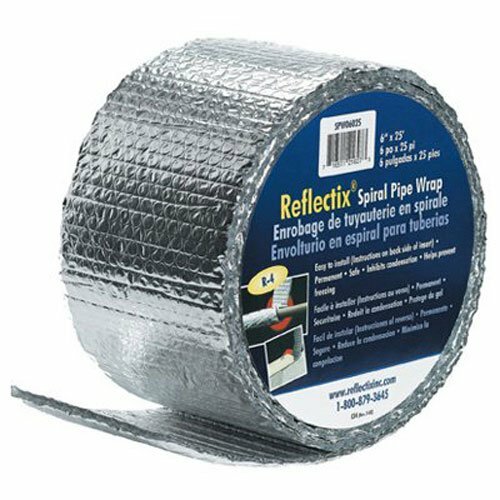 6 inch x 25', standard edge, spiral pipe wrap, aluminum foil both sides, prevents pipes from freezing, eliminates condensation & damaging moisture drips, wrap pipes leaving 1/2 inch overlaps, r-value 2.0. 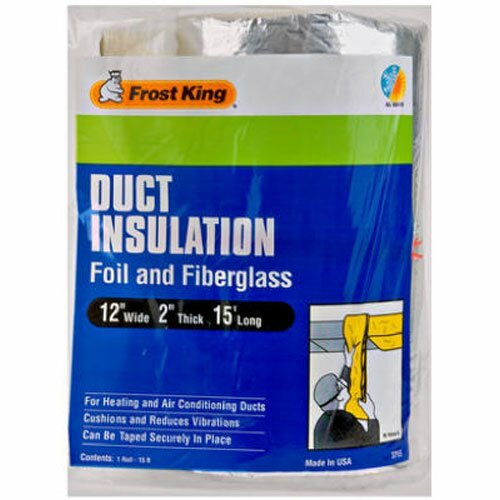 Frost King, Fiberglass and Foil Duct Insulation. 4.3 R-Value reduces vibration. Product can be wired or taped securely in place. 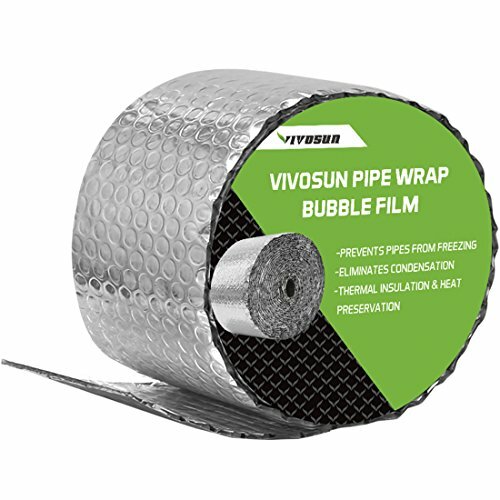 Use on heating and cooling pipes, ducts, auto hoods and trucks. Measurements are 12-Inch x 2-Inch x 15-Feet. Reduces sweating and heat loss. 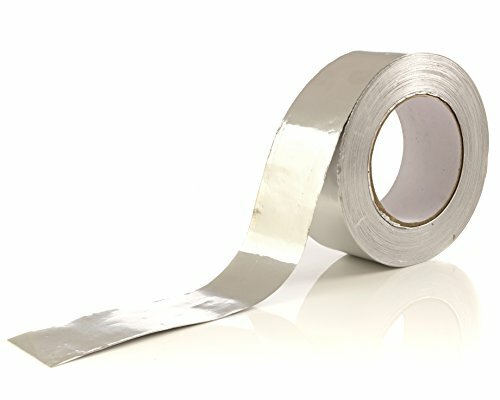 Self-adhesive back for ease of installation, even permanent outdoor application.